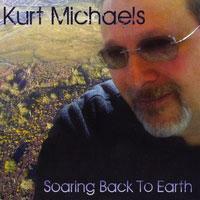 The new disc from Kurt Michaels combines progressive rock with pop rock ala The Beatles. The result is a disc that’s accessible and yet very progressive rock oriented. This occupies a space close to a lot of the more poppy neo-prog. It’s a great disc and worlds apart from Michaels’ other releases. 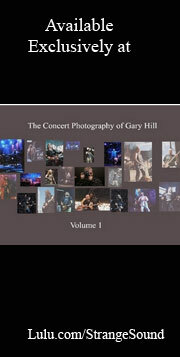 It’s sure to please fans of classic rock and fans of mellower, more accessible prog. This comes in feeling a little like Pink Floyd, at least in the general texture. After the first verse it works out to a more standard modern progressive rock with bits of Yes heard along with Genesis and other elements. Still, it’s quite accessible and perhaps Spock’s Beard would be a good reference point. There are definitely some Steve Howe-like guitar bits, though. This is less proggy than the opener and has a bit of an airy Beatles meet ELO and Klaatu texture. It’s quite a catchy tune that works very well. There’s even a bit of reggae to be heard on this set. It’s quite a dynamic and powerful one and features some tasty guitar soloing. Pink Floyd is also a valid reference at times. There are also some killer keyboard sounds here. Mellow guitar sounds bring this in and it becomes a dreamy sort of balladic prog number. This is pretty and dreamy. It definitely works into some territory that’s Pink Floyd-like. Does This Thought Come Up For You? 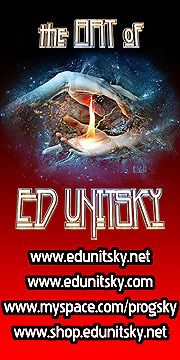 Combine an airy, pop ballad sound with progressive rock in the vein of both modern and classic schools of the genre. You’ll have something along the line of this tune. This combines Beatles and other late 1960s, early 1970s sounds with progressive rock in a tasty and tasteful arrangement that’s very cool. It’s arguably the least prog thing here, but that doesn’t make it bad. It’s catchy and fun. More proggy, this has a lot of that dream-like texture. It’s a bit like a symphonic progressive rock sound melded with Pink Floyd and a pop sensibility. It’s another strong cut. ELO is another obvious reference point. A mellow tune, this is still proggy, but more like Porcupine Tree or modern Marillion. There are some pop music traits on display here and there. Mellow progressive rock with a catchy hook makes up this killer tune. It’s got a real spacey element to it and is very dreamy in a lot of ways. It gets a bit more energized as it continues. “Mellow and dreamy” is the simple explanation for this cut. It’s very evocative and powerful and has some tasty string elements. As this develops, Pink Floyd is often a valid reference point, along with Porcupine Tree. Guitar starts this off in tasty styles. It grows up into a musical element that resembles the other music here. There’s a real fusion sort of texture to the cut, though. There are some Beatles-like bits that show up later, too.